Within seconds Antenna Mate accurately points to the direction of your best TV reception using your device's GPS and compass hardware. Antenna Mate is small, fast and works offline. Everything it needs is included when you download from the App Store. Use it from anywhere. Antenna Mate knows 6,899 TV transmitters in Australia, New Zealand, and the United Kingdom where terrestrial television is available. On the roof or in your caravan. Antenna Mate is used by professional installers, caravaners, motorhomes and DIYers to get the best TV reception, every time. Antenna Mate detects when your device is upside down and correctly adjusts the bearing to continue accurately pointing in the right direction. Antenna Mate is a universal app. Download it once and you and your family can use it on all compatible devices. Antenna Mate shows you the polarisation to use. Different transmitters have different polarisations and your antenna won't get signal if it uses an incorrect polarisation. Setting up an internal TV system or configuring radio microphones? 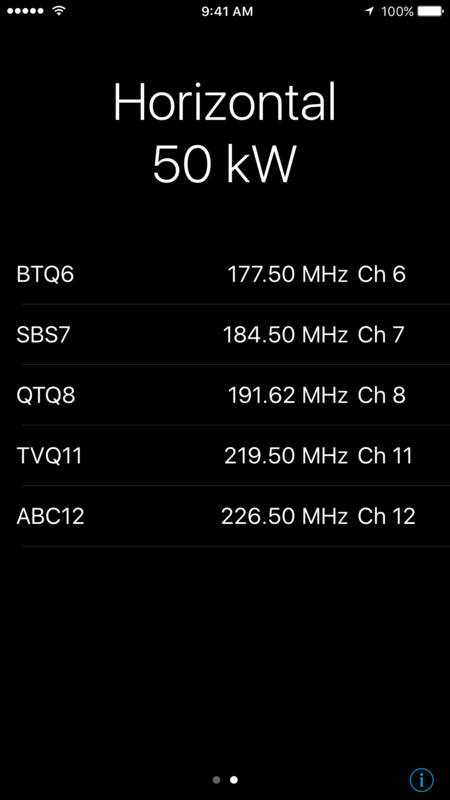 Use Antenna Mate to see which frequencies are in use so you don't have to guess. Prefer to align your antenna to another nearby site? No worries! Antenna Mate quickly finds all nearby sites using your current location. Sites can be listed from strongest to weakest, or closest to furthest away. 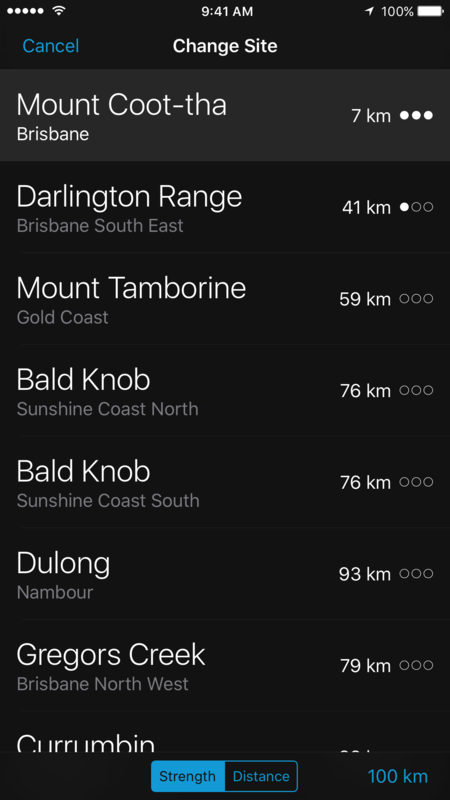 Pick any site from the list and Antenna Mate will instantly plot a new bearing. The search radius for finding sites can be increased up to 200 km (120 mi) if you're using an amplifier or high gain antenna. Automatic display switching optimises your display for day and night. In direct sunlight Antenna Mate uses a light colour scheme and at night a dark one. Antenna Mate stores a database containing every TV transmitter in Australia, New Zealand, and the United Kingdom. When you open Antenna Mate it uses your device's GPS hardware to determine where you are, and then performs theoretical calculations to quickly estimate the signal strength of all nearby sites. 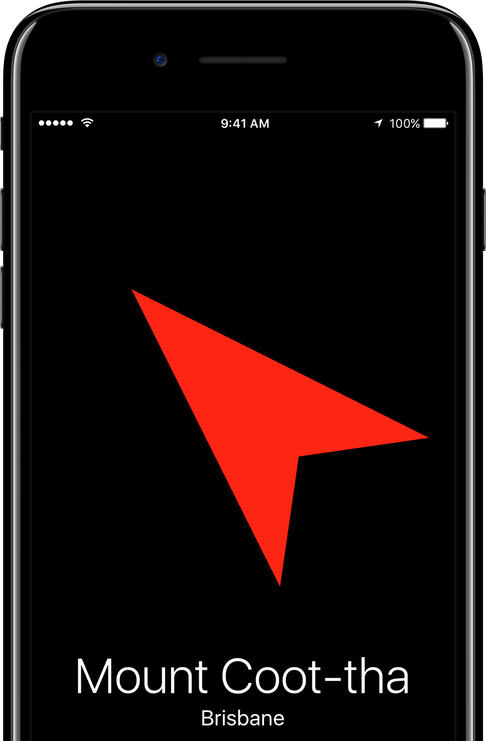 Then, your device's compass hardware is used to plot a bearing relative to your orientation which is displayed to you as the red arrow. Under normal circumstances all of this happens within seconds. The longer you leave Antenna Mate open, the more accurate it will become. Has to be the best app in the store. Save a lot of time climbing up and down on the roof. The only bad thing is that I didn’t find it earlier. Very highly recommended. Excellent App, simple and extremely effective. This would have to be a must have for anybody with a caravan, or anybody who installs antennas. It is very easy to use and very practical, five + stars! Informs you of direction, distance and whether it is vertical or horizontal polarisation. Cheaper than a take away cup of coffee, worth every cent. Well done! I have used it in about 9 western NSW towns to point the caravan aerial and it has worked perfectly every time. Thanks for thinking of us all, Tate. Great idea. 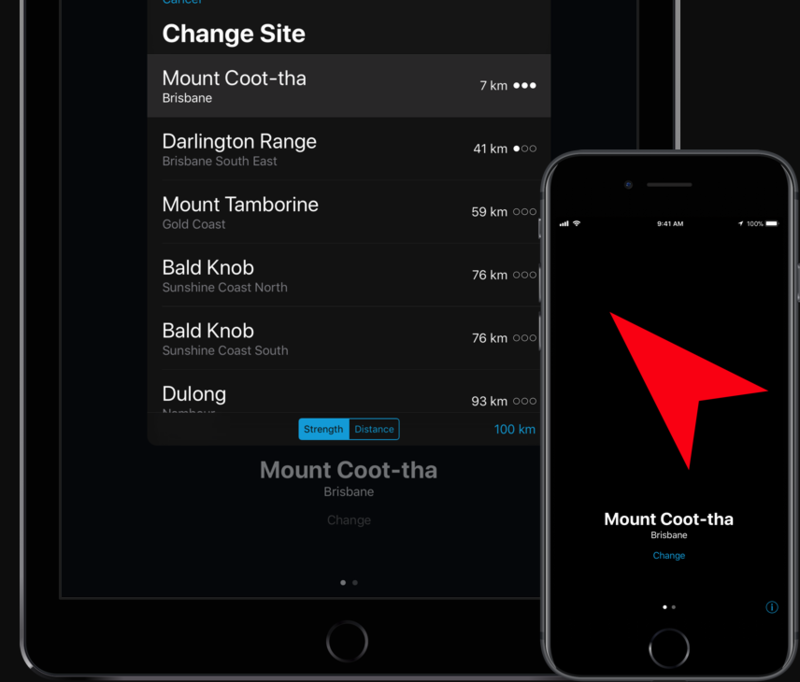 I tested it out and it works perfectly in the bush in the wilds of Tassie as well as near the cities. As an ACMA officer, I find this app ABSOLUTELY invaluable! We are doing thousands of measurements before analogue gets turned off and this takes the guess work out. So if you see a white van with ACMA on the side and a 10 pole out the roof, that's us. What a terrific use of our data!! All the data is on our website but this makes it so EASY to use. Well done! Love it! 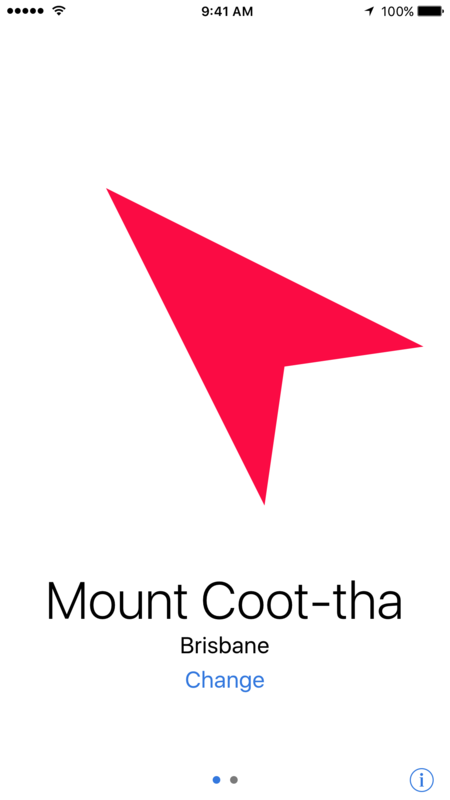 This app is just the best for pointing your antenna to the nearest transmitter. Horizontal and Vertical polarisation is very handy. Great tool for Antenna Installers. Saves all the guess work. Worth every cent. We would love to hear your feedback, good or constructive. Send an e-mail to support@antennamate.com or tweet @antennamate. Follow us on Twitter to get notified when transmitter data is updated. Antenna Mate designed, developed and © 2010–18 Tate Johnson. Original concept by Adrian Frost. Time taken to find best broadcasting site and directional accuracy will vary based on device and external environmental factors. Best broadcasting site is measured by estimating maximum theoretical field strength in free space (No obstructions or reflections). Actual field strength will be lower. Closest broadcasting site is measured by estimating distance using line of sight. Distance is only an approximation. Coverage for Australia 🇦🇺 based on Australian Communications and Media Authority data. Coverage for New Zealand 🇳🇿 based on Radio Spectrum Management and OpenStreetMap data. Coverage for the United Kingdom 🇬🇧 based on Ofcom data. Requires iOS 10.0 or later. Compatible with iPhone, iPad Wi-Fi + Cellular (4th generation), iPad Air Wi-Fi + Cellular, iPad mini 2 Wi-Fi + Cellular, iPad Air 2 Wi-Fi + Cellular, iPad mini 3 Wi-Fi + Cellular, iPad mini 4 Wi-Fi + Cellular, 12.9-inch iPad Pro Wi-Fi + Cellular, 9.7-inch iPad Pro Wi-Fi + Cellular, iPad Wi-Fi + Cellular (5th generation), 12.9-inch iPad Pro Wi‑Fi + Cellular (2nd generation), 10.5-inch iPad Pro Wi‑Fi + Cellular and iPad Wi-Fi + Cellular (6th generation).